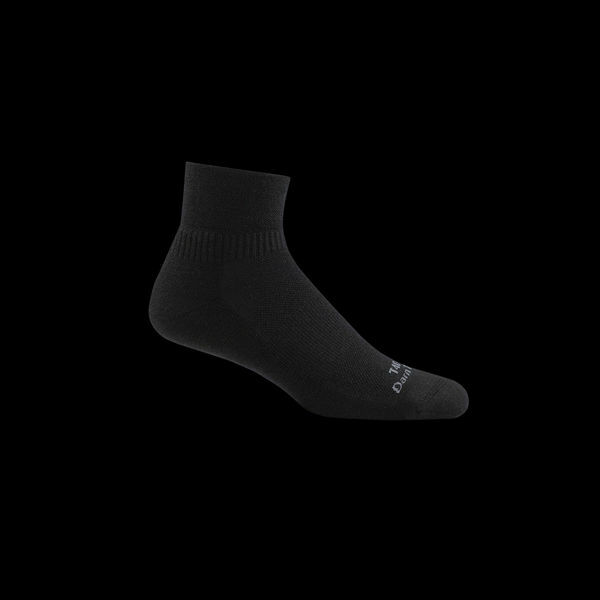 The Darn Tough ¼ Tactical Sock is a uniform regulation PT sock. No logo, ¼ cuff. Light minimalist feel, and great for hot weather. Thin jersey knit throughout with mesh on top of foot for added breathability. Elastic support at arch. Reinforced heel and toe for increased strength and durability. True Seamless™ for a virtually indistinguishable toe seam.